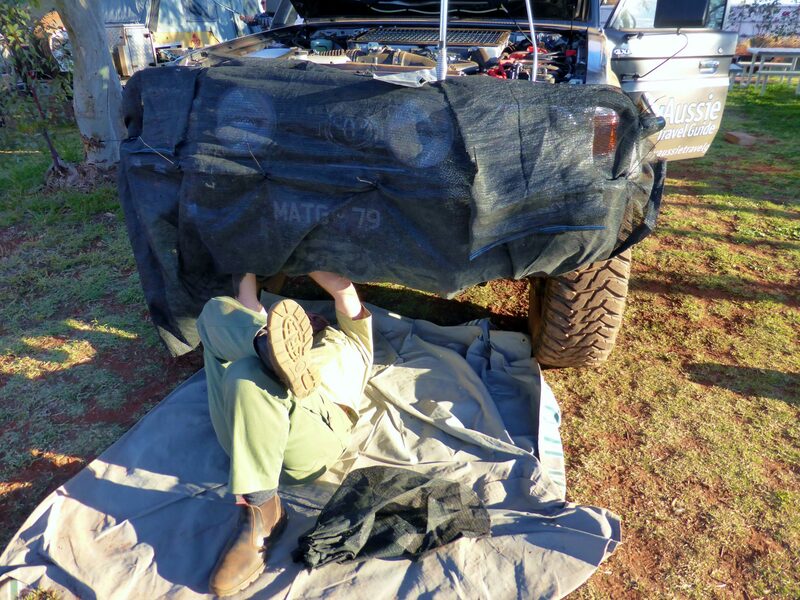 Having your vehicle fully serviced and the drivetrain inspected before travelling is essential for a desert trip. Depending on the desert you intend to travel to and the time of year, you can find spinifex will be around in abundance. Get this stuff in the wrong spot under your vehicle and you risk setting your vehicle on fire. So before you leave home, look for any entrapment points and add a wire hook and a pair of suitable gloves to your travelling set up kit to periodically remove any spinifex when you’re on the tracks. As well as spinifex causing problems, grass seeds of any type will soon stop your vehicle’s cooling system efficiency. Shadecloth that has been held in place with zip clips is a simple protector to prevent any grass seeds entering. Fill in any gaps around the front and underside of your vehicle using cheap foam sponges. Regardless of the desert you visit, you will come across sand and sandhills. You will need good tyres which are capable of running at lower pressures to increase the traction footprint size. Also travel with a good quality compressor to reinflate the tyres when required. (Don’t be afraid on loose sand when getting bogged to reduce tyre pressures even further). 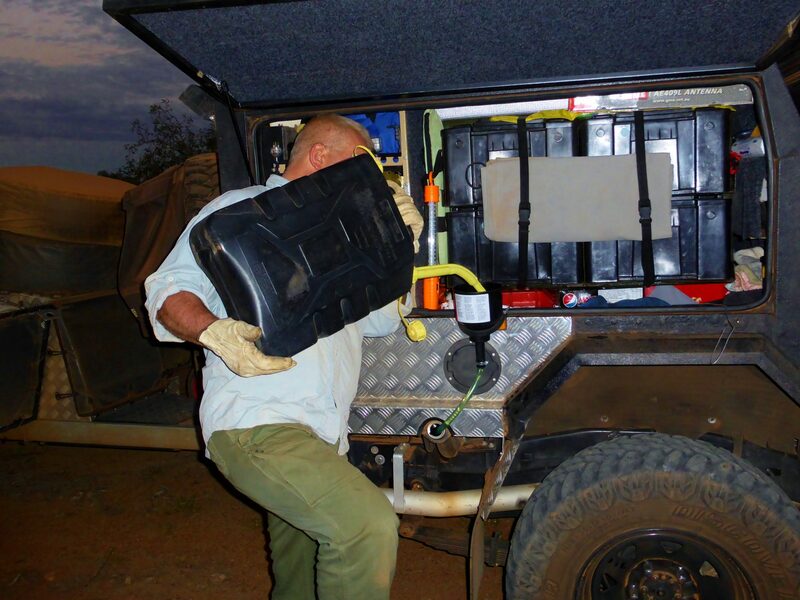 Travelling to desert locations means you should be prepared to perform a self-recovery. Travel with a long handled shovel and traction aid boards, as in most cases these will free you from a sand related bog. It might sound obvious, but aim to travel as light as possible and calculate your food and water carefully. Also consider travelling with items which have multiple uses, and aim to keep your loads forward of the rear axle as much as possible. Desert travels means there are larger distances between fuel stops, and you could expect to be travelling in low range on occasions, depending on track conditions and the load on your vehicle. These conditions mean you will consume fuel at a greater rate than what normally would be expected. Knowing your vehicle’s average fuel consumption can help you calculate your fuel requirements for desert travel, but err on the side of safety and add in extra as a buffer. 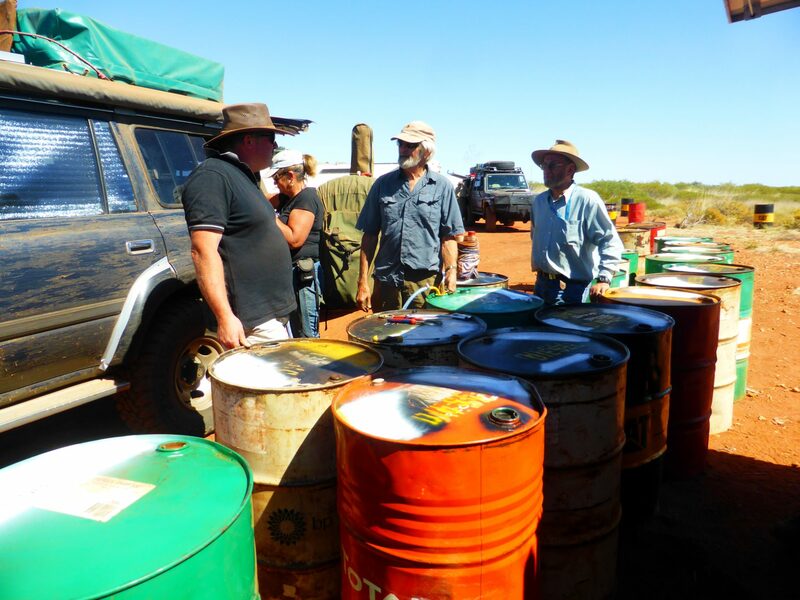 One thing we’ve done for a long time is to travel with multiple fuel storage containers. In the case there is an issue with one, we won’t be left stranded as we still have others to rely on. And If you’re topping up portable containers while travelling, use a funnel with a filter to prevent dust and water from entering your fuel system. Also carry additional spare fuel filters in the event one becomes clogged during travel and needs to be changed. When travelling to very remote destinations, it can be possible to pre-arrange fuel drops. So take the time and research your proposed destination to determine whether a fuel drop is possible. Enquire if any special equipment is required to decant the fuel as you may need to travel with a pump in some instances. Track conditions can easily change when travelling in the desert, and you may find at times that you’re driving over tree roots or burnt scrub area where sharp stakes are exposed. So in the case one of your tyres receives a stake, knowing how to perform a puncture repair on the tracks will keep you moving. Ensure you travel with an appropriate puncture repair kit which is available from any good 4×4 store. Tyres can often make or break a good trip, so make sure the ones you choose are more than adequate for the job. 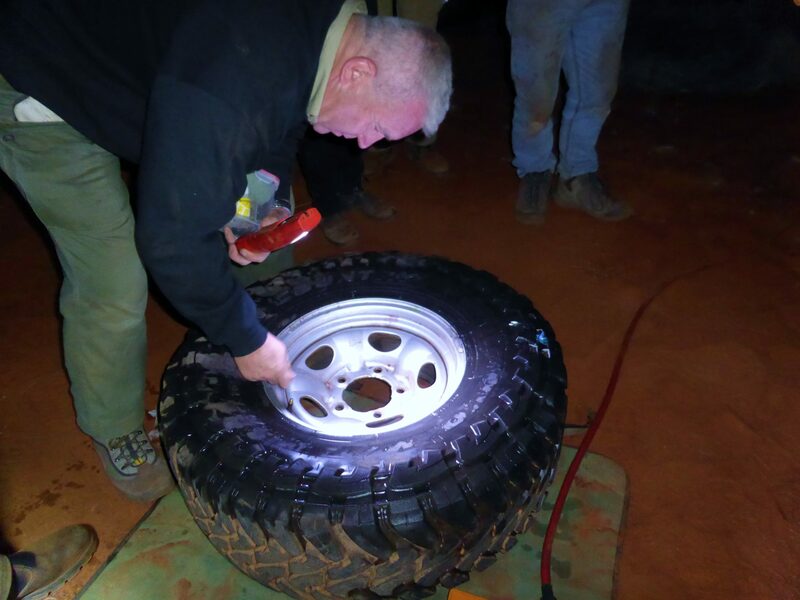 Any tyres that have less than 50% tred we would leave for local travel only and not travel with to the desert. When it comes to travelling with spares, we travel with two – one spare wheel and the other is a spare tyre that we can use as replacements when on the tracks. 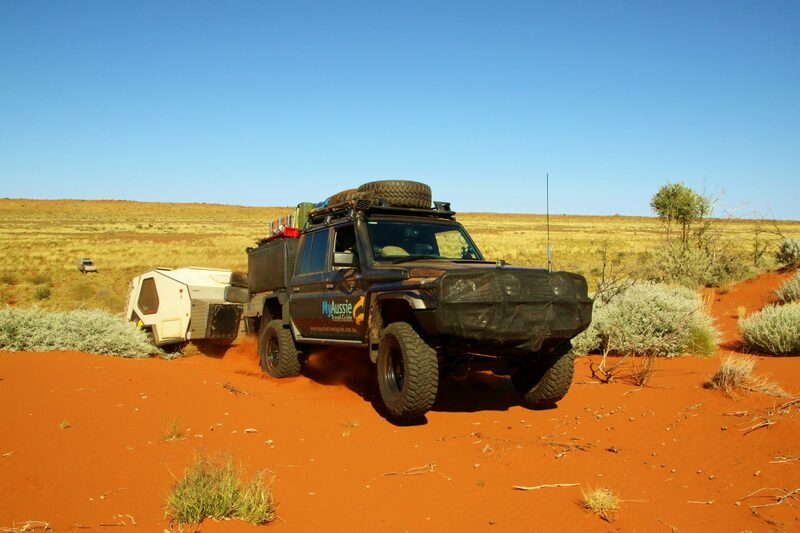 If you’ve previously travelled on sand, you’ll know that changing a tyre isn’t easy if you want to use a jack. For this exact reason, we travel with a large strong base plate that can be used for jacking purposes. The last thing you want to do is underestimate your water usage when it comes to desert travel. But at the same time, you also want to be careful how you use it as we treat it as liquid gold when travelling. For convenience purposes, we use multiple storage containers that are strategically placed around our set up to minimise any water loss should there be a problem with one of the containers. This also helps with coming across possible water sources to refill containers for washing, showering, etc. Preparing a travel checklist is useful at any time, but none more so than when it comes to remote desert travel. Set the checklist up in such a way that you treat it as a forecast of item usage, and measure it daily across essential supplies (food, water and fuel). This way you can adjust usage (if need be) early on, rather than leaving it all too late. Remote travel requires good communications as a link to civilisation. A UHF radio is essential while on the tracks, but to communicate beyond here, we don’t travel without a satellite phone and/or an emergency beacon device which can be activated in the event of an emergency. We’ve had some amazing times in the desert and wouldn’t recommend a desert crossing as your first introduction to 4WDing as it takes a while to establish a good set up of tools, spares, first aid kit, etc. There’s also safety in numbers, so travelling with others experienced in desert travel is highly recommended. When you’re well equipped and set up, a desert trip can be a trip of a lifetime. So make sure you’re well prepared and enjoy the trip. And if you enjoy it as much as we do, your first trip definitely won’t be your last!